Almost 24 hours after gunmen stormed an upscale Nairobi mall, spraying bullets and killing dozens, the terror wasn't over. An unknown number of hostages were still holed up Sunday in parts of Westgate mall, Kenya's National Disaster Operation Centre tweeted. "That is what we suspect. We cannot share any further information," the agency said. 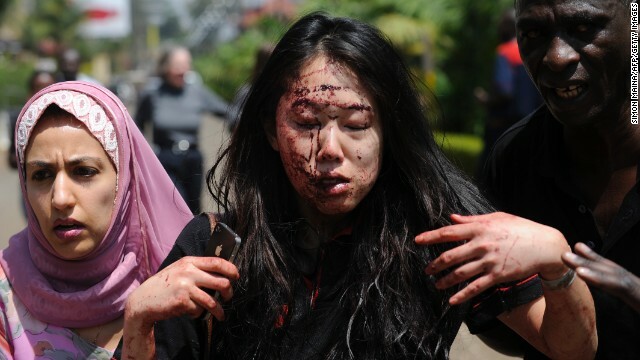 At least 43 people have been killed in the attack, Kenya Red Cross chief, Abbas Gullet said Sunday. He said more than 200 others were wounded. That is all i'm usually allowed.